Pizza Hut Singapore has appointed W Communications as its new PR partner. The account was previously handled by McGallen & Bolden. W Communications will be handling all the public relations and communications-related matters for a period of one year. 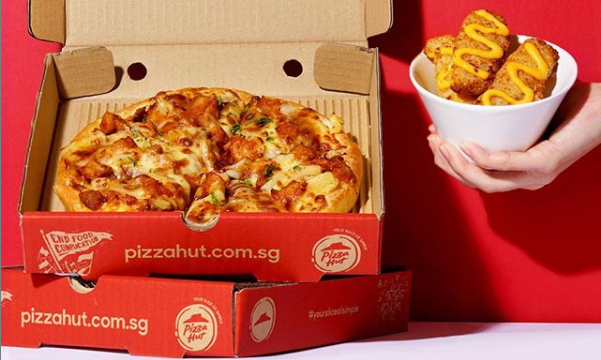 In a statement to Marketing, Joyce Tan, senior director, marketing and food innovation said in terms of competencies, the pizza chain was looking for a partner who is “strong in consumer PR”. She added that W Communications came across as a “super hungry, agile and passionate team” which was spot on with what Pizza Hut seeks in a long term partner. “Their ideas were bold, refreshing and surprisingly on brand for a pitch presentation. What cemented the decision was their strategic plan which encompassed both strong product launches, as well as longer term initiatives to carry on the momentum of building ‘Your Slice of Simple’ for the Pizza Hut brand,” Tan said. Currently, the pizza chain works with Mindshare for media duties and BLKJ for creative. BLKJ will be managing all upcoming campaign launches for Pizza Hut, which shifted its account from Ogilvy. The agency will lead all marketing efforts in content creation, creative designs and art direction. BLKJ will also be tasked to deliver innovative ideas and refresh the Pizza Hut brand in Singapore. PR Solution India, a full-service public relations, IT and digital media company, has opened its office in Kuala Lumpur and Penang..
To be a digital telco, Circles.Life looks to give "power" back to the customers with its Circles-X technology. .. The agency was founded in 2009 and employs 145 full-time staff members. ..